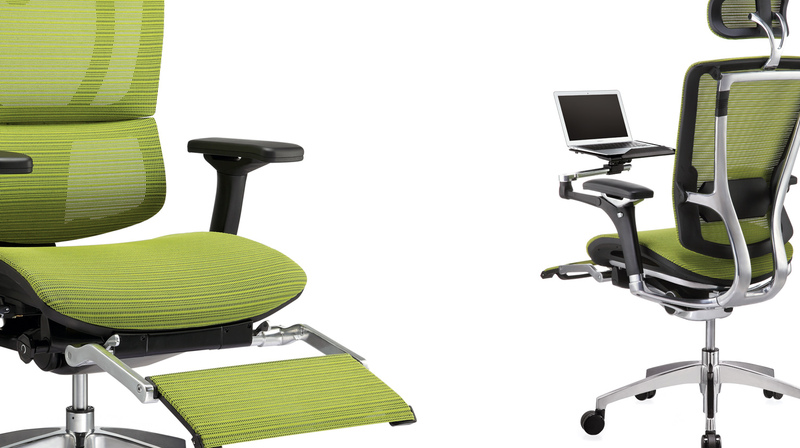 Mesh Office Seating’s newest range of accessories take comfort to a whole new level. Put your feet up with a matching footstool, or rest your legs on a retractable legrest. For laptop users who are looking for a less formal computer experience, the built-in laptop arm secures your laptop, allowing you to tilt the chair into the position of your choice. Seating has never been so exciting or versatile. N.B. The laptop arm and the legrest are factory-fit only and not available retrospectively.